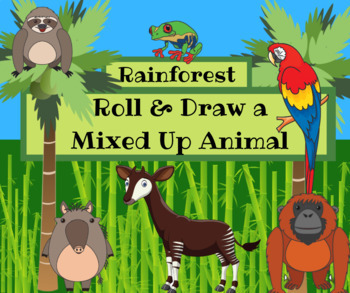 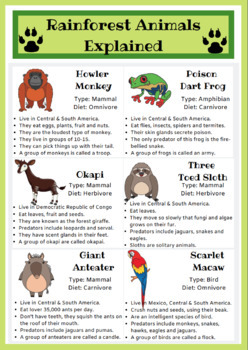 A fun roll and draw activity that allows students to create their own mixed-up rainforest animal with ease. 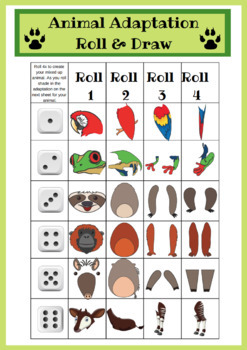 Students simply roll the dice four times and copy the images to create an animal. 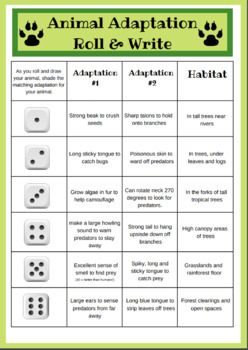 As students roll an animal they use the adaptation sheet to shade the corresponding animal adaptation to the body part.